Dodge Magnum The Dodge Magnum, the wagon that made wagons cool. The unique look of the Dodge Magnum makes any trim level, from SE to SRT-8, an absolute head turner. Currently working on a 2005 Dodge Magnum. 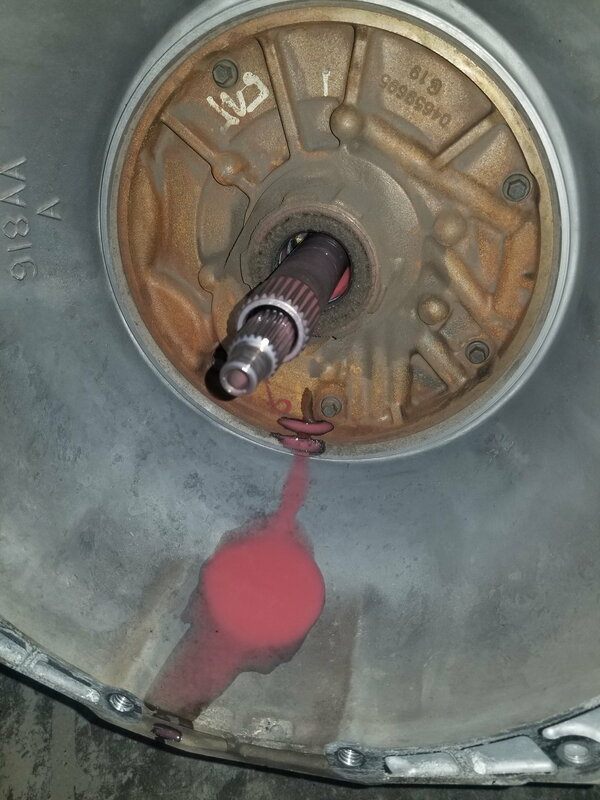 We pulled out the transmission and found the fluid to be a strawberry milkshake looking mess. I have seen this before with other transmissions that use a trans cooler in the radiator. But on the magnum the trans cooler is on the AC Condensor. Can not see anywhere on seals or anything where water would be getting into the transmission. Customer also complained of a funny smell coming from AC. First thought was that one has nothing to do with other. But after removing transmission inspection and blowing out the trans line. I looked into the AC issue. Noticed that the pressures were low. Of course could not start but pressure was about 50 psi on high and low side. So started looking for signs of leaks. With my freon detector. And for the heck of it i decided to check the Transmission lines that were hanging. And the detector went off while at the end of the hose. Never heard of Freon mixing with Transmission fluid. Is it even possible?